With a group of Republican and Democrat legislators in Juneau calling for bipartisan opposition to Gov. Dunleavy, this week is a great opportunity to step back and consider the difference between bipartisanship and nonpartisanship. When Bernie Sanders ran to be the Democrat nominee for President in the last election, he did so as a “nonpartisan”. What does that even mean? Not much I’m afraid. He ran to be the Democrat candidate for president because he aligns with the Democrat Party. When he ran for the Democrat nomination in Alaska he received 82% of the vote to Hillary Clinton’s 18%. We call him partisan because he is. As a senator, he votes with the Democrat Party even more than most of the senators who call themselves Democrats. When he votes with the Democrat Party is he engaging in the virtuous act of setting aside his own political bias for the sake of bipartisanship and public service? Eh..no. 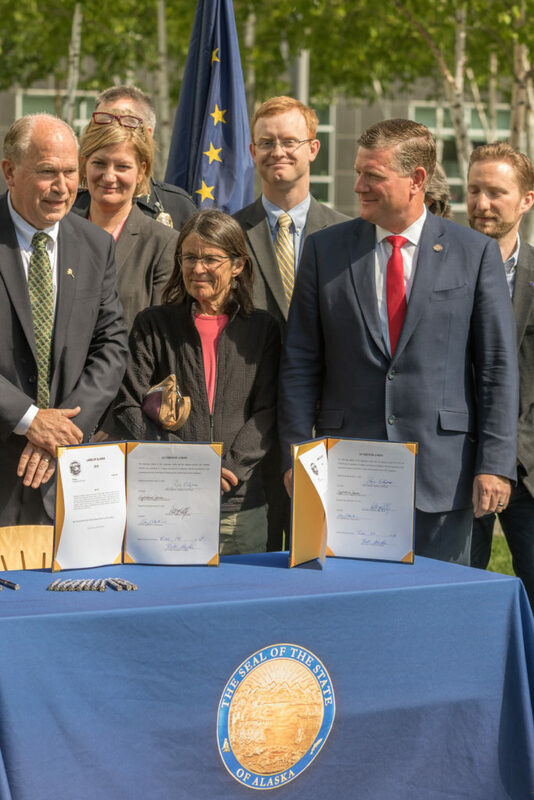 It is no different here in Juneau when politicians support the policies they believe in but self-identify with a political party that doesn’t. That isn’t an act of virtuous statesmanship. That’s simply political expediency. We would do well to note the difference. As Alaskans, we are proud of the unique geography of our state and the fact that life here is different than you will find in any other state. What takes place in our capital is different too, though fewer of us are proud of the differences. For the sake of clarity, I will generalize. There is no bipartisanship in the Alaska Legislature today. 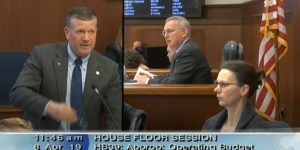 Now, I’m not saying that individual Alaskan legislators have never set aside bias or personal ambition to work together for the good of Alaskans. It does happen, and it is praiseworthy when it happens, and notable because it is the exception to the rule. These exceptions make for a strong contrast to all the daily activity which is described as bipartisanship. I can say with a great deal of confidence—it isn’t. How can I say this? Well, in order to set aside partisanship, you must first in fact be partisan. Bernie Sanders working with Mike Lee on a piece of legislation could rightly be called bipartisanship. Bernie’s voting record is strongly Democrat. Mike Lee’s is strongly Republican. There’s at least an opportunity for bipartisanship there. With many Alaska politicians, there just isn’t. Their voting record was never strongly partisan to begin with. 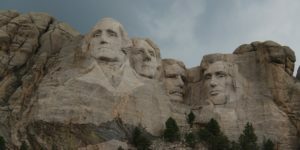 Think of it this way: When George Washington and Patrick Henry served together in the first continental congress, prior to the advent of formal political parties, would they have described their work together as an act of bipartisanship? The term would have been useless. Perhaps the closest parallel would have been the two of them, as Virginians, collaborating with their congressional colleagues from New York or Massachusetts. 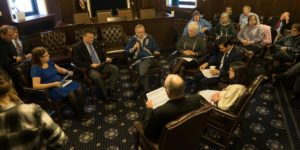 For a number of reasons, the Alaska Legislature operates more like the continental congress today than it does the U.S. Congress. 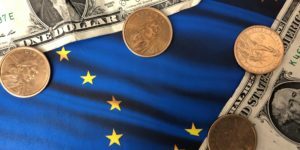 Due to geography, the cost of serving as a legislator, restrictions on corporate donations to parties and a host of other factors, Alaska’s political parties simply don’t have the influence on legislators that those parties exercise in other states. Imagine a Republican legislator in any other Republican state handing over control of the House of Representatives to Democrats and then running for re-election and being re-elected as a Republican. It wouldn’t happen in any other state. In Alaska, that just happened. Twice. The Republican Party publicly disavowed these two legislators and supported their opponents in the Republican Primary. Both legislators were re-elected anyway. In this Republican state, the Republican Party simply doesn’t exercise much power over legislators. To be candid, party labels in Alaska have a lot more to do with how voters see legislators than how legislators see themselves. That said, there can be a certain refreshing honesty in legislators setting aside party labels the moment they get to Juneau. Many of those labels were, at best, a poor fit. But let’s not describe what happens next as bipartisanship. Bernie Sanders and Mike Lee can be bipartisan. Political mercenaries who had to choose a party label at election time can’t exercise bipartisanship. You have to have a political bias before you can get credit for setting it aside. Remember this the next time you hear legislators in Juneau talking about forming a “bipartisan coalition”, a “bipartisan majority”, a “bipartisan working group” or a “bipartisan caucus”. Politicians in Juneau have always been willing to put special interests ahead of loyalty to a party. And some of them will loudly cry “Bipartisanship” when they do. Don’t buy it.